Wednesday was a first at our household. After weeks of begging, I finally relented and let my 12 year old hop on the riding mower and mow the lawn. I had mowed all the tough parts…he had no trees, no flowerbeds, no sidewalks to maneuver…just one huge rectangular spot of grass. Up. Down. Back. Forth. It was simple, really. I gave him a quick tutorial about how he needed to use the front right tire as a guide. Watch the tire. Keep it lined up with the strip that needs to be cut. Watch the tire. Watch the tire. Austin, what did I say? Watch the tire. There was no way he could fail. And then, I stood back with a tear glistening in my eye as my middle child… [insert dramatic pause here ] …proceeded to weave all over the neighborhood, leaving my yard looking like it was mowed by drunken monkeys. His problem? He wasn’t watching the tire. He was busy checking out the wake he left behind him, and in the process he was churning up yards three houses away. It works the same in our spiritual journeys. When we keep our eyes focused straight ahead, we reach the goal. When we decide to look back, our soul gets shredded and choppy and uneven and we battle the spiritual equivalent of drunken monkeys. Today, refuse to look back. Don’t rehash your past mistakes. Don’t submit yourself to old guilt. Refuse to play the “What if I’d…” game. Look ahead to the prize that is before you, and walk forward in faith. No weaving. No over correcting. No jagged edges. Keep it clean, keep it crisp, and don’t look back. “Brothers, I do not consider that I have made it my own. But one thing I do: forgetting what lies behind and straining forward to what lies ahead, I press on toward the goal for the prize of the upward call of God in Christ Jesus.” (Phil. 4:13-14). Love it! Can’t tell you how many times I’ve messed up the yard b/c I didn’t pay attention to where I was heading (likewise in my life, and daily walk with God). 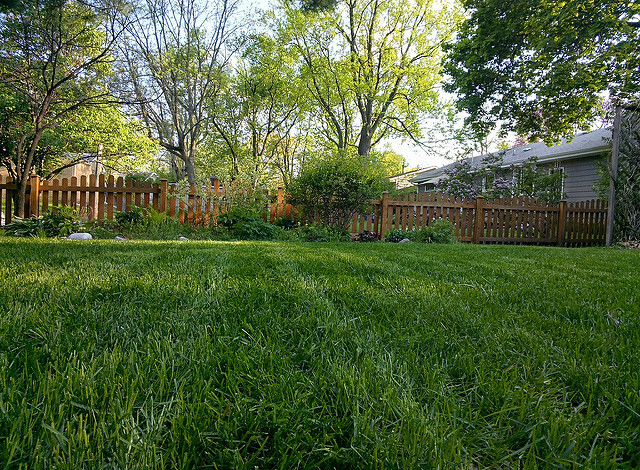 I made a comment on my blog about the presence tense of the issue… not looking back, but just looking ahead… Kind of like saying, I will mow the yard, but you never get around to it… start mowing! Thanks for the word. Good post. Especially right now!